We’ll be highlighting the abusive ad experience with a series of well-crafted SFW banners. Your banners should not look like the examples below. 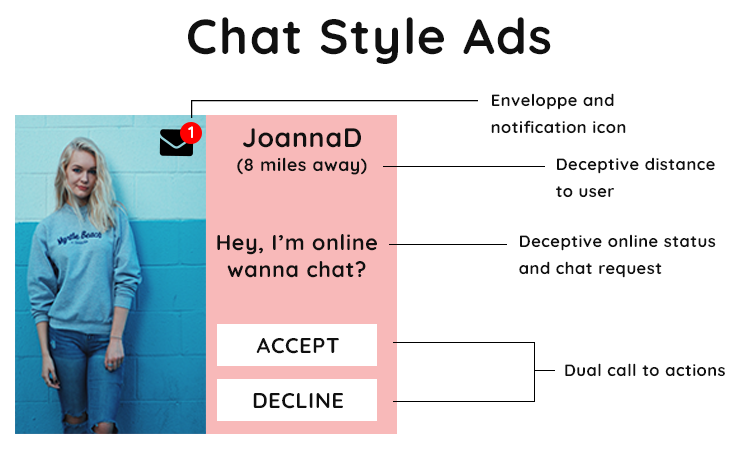 The deal with chat style ads is they are conceived to be deceptive and incite the visitor to click and expect something he’s clearly not going to get. Distance, notification icons, statuses and dual call to actions are staples with this type of ad. While these ads break none of the other rules, the advertisers decided to add the dreaded “x” button which does not close the ad and will redirect the user to their landing page. 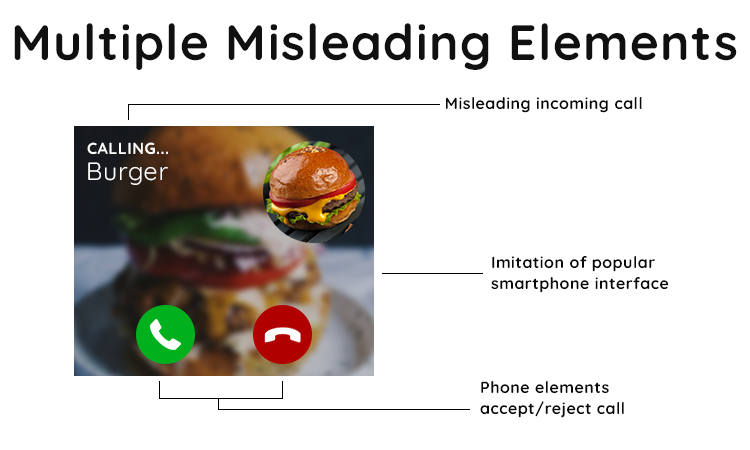 In this case, the banner features a fake incoming call, imitates a smartphone interface and features accept/reject call buttons. 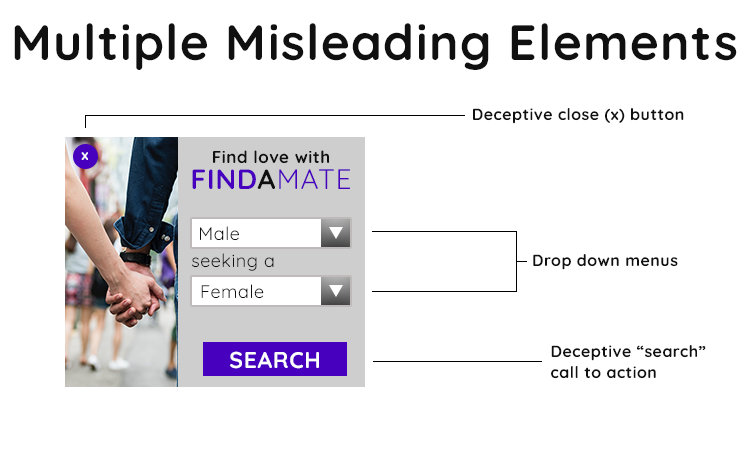 We would commonly see this type of ad for dating offers where a man or woman is “calling”. Another style of deceptive advertisement comes with these Antivirus Alerts. 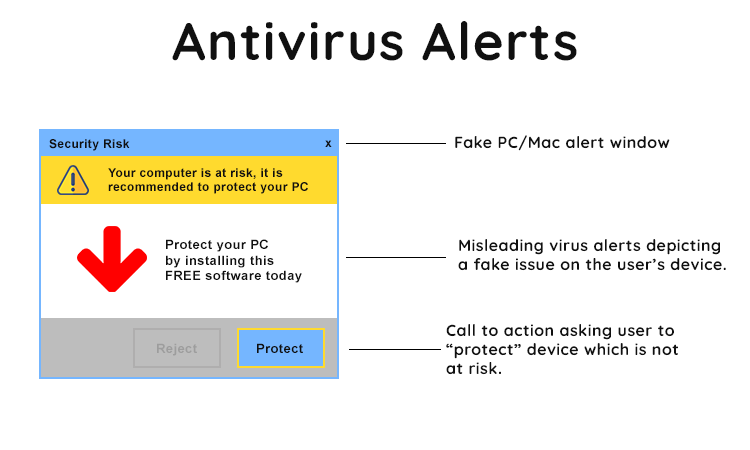 The ad resembles a prompt from the user’s operating system misleading them into believing their computer is at “risk” and needs “protection”. 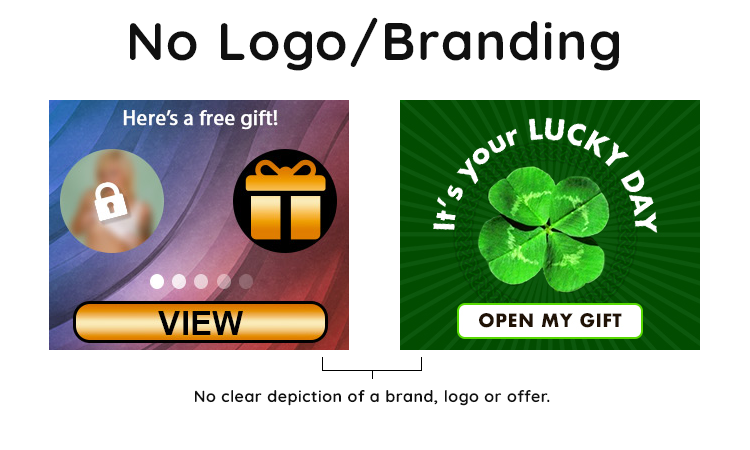 This style of banner has no visible branding where the user can identify the advertiser’s business and connect it with their offer. 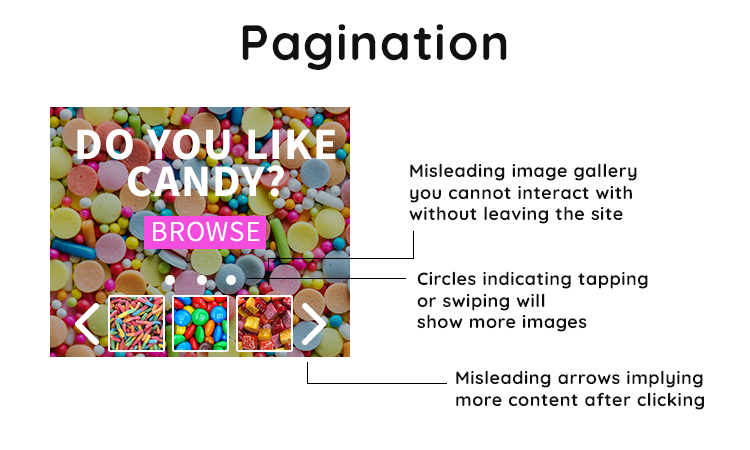 The ad above features three examples of pagination. The three circles, misleading the user into tapping, swiping or clicking will show more images. Below it, the image gallery and the left/right arrows which you cannot interact with without leaving the page you’re on. You’re probably familiar with this if you’ve advertised on the TrafficJunky network before. We don’t allow video player elements of any kind. In addition, banners featuring misleading calls to action like “watch now” or “watch video” will also be rejected. Lastly, mouse pointers or finger icons insinuating you should swipe, tap or click on an ad in question. Couple that with the “swipe for more” or “tap here” call to action. Are you currently using these types of banners on other networks? We strongly urge you to make the necessary changes to your creatives before creating a new TrafficJunky campaign. Your ads will be rejected upon review and this will cause additional delays. Read this post and still not sure if your creatives are breaking any rules? We’re here to help, speak to our team today.